The San Francisco Museum of Modern Art (SFMOMA) is a modern art museum located in San Francisco, California. A nonprofit organization, SFMOMA holds an internationally recognized collection of modern and contemporary art, and was the first museum on the West Coast devoted solely to 20th-century art. The museum's current collection includes over 33,000 works of painting, sculpture, photography, architecture, design, and media arts. They are displayed in 170,000 square feet (16,000 m2) of exhibition space, making the museum one of the largest in the United States overall, and one of the largest in the world for modern and contemporary art. SFMOMA reopened on May 14, 2016, following a major three-year-long expansion project. The expansion more than doubles the museum's gallery spaces and provides almost six times as much public space as the previous building, allowing SFMOMA to showcase an expanded collection along with the Doris and Donald Fisher Collection of contemporary art. SFMOMA was founded in 1935 under director Grace L. McCann Morley as the San Francisco Museum of Art. For its first sixty years, the museum occupied the fourth floor of the War Memorial Veterans Building on Van Ness Avenue in the Civic Center. A gift of 36 artworks from Albert M. Bender, including The Flower Carrier (1935) by Diego Rivera, established the basis of the permanent collection. Bender donated more than 1,100 objects to SFMOMA during his lifetime and endowed the museum's first purchase fund. 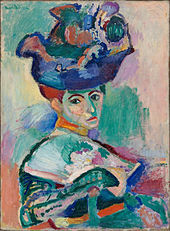 The museum began its second year with an exhibition of works by Henri Matisse. In this same year the museum established its photography collection, becoming one of the first museums to recognize photography as a fine art. SFMOMA held its first architecture exhibition, entitled Telesis: Space for Living, in 1940. SFMOMA was obliged to move to a temporary facility on Post Street in March 1945 to make way for the United Nations Conference on International Organization. The museum returned to its original Van Ness location in July, upon the signing of the United Nations Charter. Later that year SFMOMA hosted Jackson Pollock's first solo museum exhibition. Founding director Grace Morley held film screenings at the museum beginning in 1937, just two years after the institution opened. In 1946 Morley brought in filmmaker Frank Stauffacher to found SFMOMA's influential Art in Cinema film series, which ran for nine years. SFMOMA continued its expansion into new media with the 1951 launch of a biweekly television program entitled Art in Your Life. The series, later renamed Discovery, ran for three years. Morley ended her 23-year tenure as museum director in 1958 and was succeeded by George D. Culler (1958–65) and Gerald Nordland (1966–72). The museum rose to international prominence under director Henry T. Hopkins (1974–86), adding "Modern" to its title in 1975. Since 1967, SFMOMA has honored San Francisco Bay Area artists with its biennial SECA Art Award. In the 1980s, under Hopkins and his successor John R. Lane (1987–1997), SFMOMA established three new curatorial posts: curator of painting and sculpture, curator of architecture and design, and curator of media arts. The positions of director of education and director of photography were elevated to full curatorial roles. At this time SFMOMA took on an active special exhibitions program, both organizing and hosting traveling exhibitions., including major presentations of the work of Jeff Koons, Sigmar Polke, and Willem de Kooning. Until the opening of the Museum of Contemporary Art, Los Angeles in 1987 and the modern and contemporary wing of the Los Angeles County Museum of Art, San Francisco's museum tended to function as the state's flagship for modern and contemporary art. In January 1995 the museum opened its current location at 151 Third Street, adjacent to Yerba Buena Gardens in the SOMA district. Mario Botta, a Swiss architect from Canton Ticino, designed the new US$60 million facility. Art patron Phyllis Wattis helped the museum acquire key works by Magritte, Mondrian, Andy Warhol, Eva Hesse and Wayne Thiebaud. SFMOMA made a number of important acquisitions under the direction of David A. Ross (1998–2001), who had been recruited from the Whitney Museum in New York, including works by Ellsworth Kelly, Robert Rauschenberg, René Magritte, and Piet Mondrian, as well as Marcel Duchamp’s iconic Fountain (1917/1964). Those and acquisitions of works by Jasper Johns, Mark Rothko, Francis Bacon, Alexander Calder, Chuck Close and Frank Stella put the institution in the top ranks of American museums of modern art. After three years and $140 million building up the collection, Ross resigned when a slow economy forced the museum to keep a tighter rein on its resources. Under current director Neal Benezra, who had been recruited from the Art Institute of Chicago in 2002, SFMOMA achieved an increase in both visitor numbers and membership while continuing to build its collection. In 2005 the museum announced the promised gift of nearly 800 photographs to the Prentice and Paul Sack Photographic Trust at SFMOMA from the Sacks' private collection. The museum saw record attendance in 2008 with the exhibition Frida Kahlo, which drew more than 400,000 visitors during its three-month run. In 2009, SFMOMA announced plans for a major expansion to accommodate its growing audiences, programs, and collections and to showcase the Doris and Donald Fisher collection of contemporary art. In 2010—the museum's 75th anniversary year—architecture firm Snøhetta was selected to design the expanded building. SFMOMA broke ground for its expansion in May 2013. Jackson Pollock had his first museum show at SFMOMA, as did Clyfford Still and Arshile Gorky. 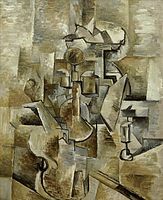 The museum has in its collection important works by Henri Matisse, Jean Metzinger, Paul Klee, Marcel Duchamp, Andy Warhol, Jackson Pollock, Richard Diebenkorn, Clyfford Still and Ansel Adams, among others. Annually, the museum hosts more than twenty exhibitions and over three hundred educational programs. While the museum's building was closed for expansion, from summer 2013 through early 2016, SFMOMA presented its exhibitions and programs at off-site locations around the Bay Area as part of SFMOMA On the Go. In 2009, the museum gained a custodial relationship for the contemporary art collection of Doris and Donald Fisher of Gap Inc.. The Fisher Collection includes some 1,100 works from artists such as Alexander Calder, Chuck Close, Willem de Kooning, Richard Diebenkorn, Anselm Kiefer, Ellsworth Kelly, Roy Lichtenstein, Brice Marden, Agnes Martin, Gerhard Richter, Richard Serra, Cy Twombly, and Andy Warhol, among many others. The collection will be on loan to SFMOMA for a period of 100 years. In February 2011, the museum publicly launched its Collections Campaign, announcing the acquisition of 195 works including paintings from Jackson Pollock, Willem de Kooning, Jasper Johns, Robert Rauschenberg and Francis Bacon. Also under the auspices of the Collections Campaign, promised gifts of 473 photographs were announced in 2012, including 26 works by Diane Arbus and significant gifts of Japanese photography. Works acquired through the Collections Campaign are displayed along with the Fisher Collection in the museum's expanded building, completed in 2016. SFMOMA's website allows users to browse the museum's permanent collection. The SFMOMA App allows visitors to use their mobile phones to follow guided visit of the museum at their own pace while the App tracks their location. SFMOMA's Research Library was established in 1935 and contains extensive resources pertaining to modern and contemporary art, including books, periodicals, artists’ files,photographs and media collections. Plans to expand the museum at its old site, on upper floors of the Veterans' Memorial Building in San Francisco's Civic Center, were thwarted in the late 1980s. In the summer of 1988, architects Mario Botta, Thomas Beeby and Frank Gehry were announced as finalists in a competition to design the San Francisco Museum of Modern Art's new structure in Downtown. Semifinalists had included Charles Moore and Tadao Ando. The three finalists were to present site-specific design proposals later that year, but the museum canceled its architectural competition after only a month and went with the 45-year-old architect Botta. The new museum, planned in association with architects Hellmuth, Obata and Kassabaum, was built on a 59,000-square-foot (5,500 m2) parking lot on Third Street between Mission and Howard streets. The south-of-Market site, an area near the Moscone Convention Center mainly consisting of parking lots, was targeted through an agreement between the museum, the redevelopment agency and the development firm of Olympia & York. Land was provided by the agency and developer, but the rest of the museum was privately funded. Construction of the new museum began in early 1992, with an opening in 1995, the institution's 60th anniversary. At the time of the new building's opening, SFMOMA touted itself as the largest new American art museum of the decade and, with its 50,000 square feet (4,600 m2) of exhibition space, the second-largest single structure in the United States devoted to modern art. (New York's Museum of Modern Art, with 100,000 square feet of gallery space, was then the largest single structure, while the nearly 80,000 combined square feet of Museum of Contemporary Art, Los Angeles put it in second place). The museum consisted of galleries rising around a central, skylighted atrium. Its external structure featured a central 130-foot (40 m) tall cylinder, and a stepped-back stone facade. Botta's interior design was marked by alternating bands of polished and flame-finished black granite on the floor, ground-level walls, and column bases; and bands of natural and black-stained wood on the reception desks and coat-check desk. In 2009, SFMOMA opened its 14,400 sq ft (1,340 m2) rooftop garden. Following an invitational competition held in 2006, the garden was designed by Jensen Architects in collaboration with Conger Moss Guillard Landscape Architecture, and featured two open-air spaces and a glass pavilion that provided views of the museum's sculpture collection as well as the San Francisco skyline. It also served as a year-round indoor/outdoor gallery. In 2009, in response to significant growth in the museum's audiences and collections since the opening of the 1995 building, SFMOMA announced plans to expand. A shortlist released in May 2010 included four architecture firms officially under consideration for the project: Adjaye Associates; Diller Scofidio + Renfro; Foster + Partners; and Snøhetta. In July 2010 the museum selected Norwegian architecture firm Snøhetta to design the expansion. Opened in May 2016, the approximately 235,000-square-foot (21,800 m2) expansion joined the existing building with a new addition spanning from Minna to Howard Streets. The expanded building includes seven levels dedicated to art and public programming, and three housing enhanced support space for the museum's operations. It offers approximately 142,000 square feet of indoor and outdoor gallery space, as well as nearly 15,000 square feet of art-filled free-access public space, more than doubling SFMOMA's current capacity for the presentation of art and providing almost six times as much public space as the current building. The designs for the expanded building include such new features as a large-scale vertical garden on the third floor, slated to be the biggest public living wall of native plants in San Francisco; a free ground-floor gallery facing Howard Street with 25-foot (7.6 m) tall glass walls that will place art on view to passersby; a double-height "white box" space on the fourth floor with sophisticated lighting and sound systems; and state-of-the-art conservation studios on the seventh and eighth floors. The expansion facades will be clad with lightweight panels made of Fibre-Reinforced Plastic; when completed, this will be the largest application of composites technology to architecture in the United States. The building is on track to achieve LEED Gold certification, with 15% energy-cost reduction, 30% water-use reduction, and 20% reduction in wastewater generation. The museum expected attendance to jump from 650,000 a year in 2011 to more than one million visitors annually once the new wing opened. The SFMOMA board is chaired by Charles R. Schwab, its president is Robert J. Fisher. SFMOMA reserves one seat on its board for a working artist who serves for a three-year period; the special board position comes with no financial obligations to the museum but includes the right to vote and participate in committees. By 2010, the San Francisco Museum of Modern Art raised $250 million, allowing it to double the size of its endowment and put $150 million toward its expansion. The current director of SFMOMA is Neal Benezra, who was appointed in 2002. 2009: Larry Sultan. Sultan died in December 2009. The museum also operates the Artists Gallery at Fort Mason, a nonprofit gallery located at Fort Mason Center in San Francisco's Marina district. 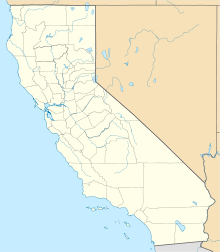 The Artists Gallery was founded in 1978 as an outlet for emerging and established Northern California artists. The gallery holds eight exhibitions each year, including solo, group, and thematic shows. Works cover a range of styles and media, from traditional to experimental, and all works are available for rent or purchase. In Situ is a fine-dining restaurant located inside the SFMOMA. It is managed by Corey Lee, the owner-chef of award-winning San Francisco restaurant Benu. In Situ offers a curated menu that highlights signature dishes from other restaurants around the world. ^ "The New San Francisco Museum of Modern Art Opens to the Public on Saturday, May 14, 2016"
^ a b c d History at sfmoma.org. ^ Baker, Kenneth (1 October 2009). "Henry T. Hopkins Dies, Put 'Modern' in SFMOMA". The San Francisco Chronicle. Retrieved 2009-10-01. ^ a b History and Staff Archived July 27, 2010, at the Wayback Machine at sfmoma.org. ^ a b William Wilson (July 7, 1988), San Francisco Art Museum Tells Plans for New Structure Los Angeles Times. ^ Scarlet Cheng (January 31, 2010), San Francisco Museum of Modern Art turns 75 with a splash Los Angeles Times. ^ a b Celestine Bohlen (August 18, 2001), San Francisco Museum Director Resigns Suddenly New York Times. ^ Robin Pogrebin (November 30, 2011), An Imposing Museum Turns Warm and Fuzzy New York Times. ^ Littlejohn, David (7 July 2010). "SFMOMA Fills in Some Blanks". The Wall Street Journal. Retrieved 2009-07-06. ^ Kino, Carol (June 1, 2010). "Private Collection Becomes Very Public". The New York Times. Retrieved 2010-08-03. ^ Baker, Kenneth. SFMOMA hits jackpot with new acquisitions. SFGate.com. February 3, 2011. ^ Suzanne Muchnic (November 18, 1986), Lane Director Of S.f. Modern Art Museum Los Angeles Times. ^ John Voland (August 1, 1988), Architecture Los Angeles Times. ^ Sam Hall Kaplan (September 29, 1988), S.F.Museum Job Goes to Swiss Architect Los Angeles Times. ^ John Boudreaud (September 12, 1990), New Home for San Francisco Art Museum Los Angeles Times. ^ a b c Pilar Viladas (January 15, 1995), San Francisco's MOMA Moment Los Angeles Times. ^ Michael Kimmelman (January 24, 1995), In San Francisco, a New Home for Art New York Times. ^ SFMOMA Rooftop Garden at sfmoma.org. ^ "A New Space for San Francisco Museum of Modern Art and San Francisco". ArtDaily.org. 2008-04-23. Retrieved 2014-07-27. ^ Jori Finkel (July 21, 2010), SFMOMA chooses architect for $250-million expansion: Norwegian firm Snøhetta Los Angeles Times. ^ "Announces Finalists for Design of Expansion" (Press release). SFMOMA. 11 May 2010. Archived from the original on 27 July 2010. Retrieved 3 August 2010. ^ "At San Francisco’s Museum of Modern Art, a New Frontier for Photography"
^ "Inside the New San Francisco Museum of Modern Art"
^ Riccardo Bianchini (October 29, 2015), SFMoMA expansion by Snøhetta Inexhibit magazine. ^ Geoffrey A. Fowler (December 1, 2011), SFMOMA Thinks Big in Expansion Wall Street Journal. ^ Randy Kennedy (February 4, 2010), San Francisco Museum of Modern Art Raises Funds for Expansion New York Times. ^ "Director". SFMOMA. Retrieved 25 September 2016. ^ "History + Staff". San Francisco Museum of Modern Art. 2010. Archived from the original on 27 July 2010. Retrieved 3 August 2010. ^ Desmarais, Charles. "SFMOMA photography curator Sandra Phillips stepping down". SFGATE. Retrieved 25 September 2016. ^ "Gary Garrels". SFMOMA. Retrieved 25 September 2016. ^ Curiel, Jonathan (26 May 2011). "Shows Shed New Light on Life of Gertrude Stein". The New York Times. Retrieved 25 September 2016. ^ "Rudolf Frieling". SFMOMA. Retrieved 25 September 2016. ^ "SFMOMA Appoints Clément Chéroux as Senior Curator of Photography". SFMOMA. Retrieved 25 September 2016. ^ "Corey Keller". Center for Curatorial Leadership. Retrieved 25 September 2016. ^ "Jennifer Dunlop Fletcher to Lead SFMOMA's Department of Architecture and Design as Helen Hilton Raiser Curator". SFMOMA. SFMOMA. Retrieved 25 September 2016. ^ "SFMOMA Announces Appointment Of Dominic Willsdon As New Leanne And George Roberts Curator Of Education And Public Programs". SFMOMA. Retrieved 25 September 2016. ^ "Board of Trustees". SFMOMA. Retrieved 25 September 2016. ^ David Ng (August 15, 2013), Ed Ruscha joining SFMoMA board a year after quitting MOCA Los Angeles Times. ^ "Artists Gallery at Fort Mason". SFMOMA. 2010. Archived from the original on 8 August 2010. Retrieved 13 August 2010. ^ "This is America's Most Original New Restaurant". The New York Times. 2016-07-19. 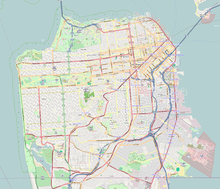 Wikimedia Commons has media related to San Francisco Museum of Modern Art.